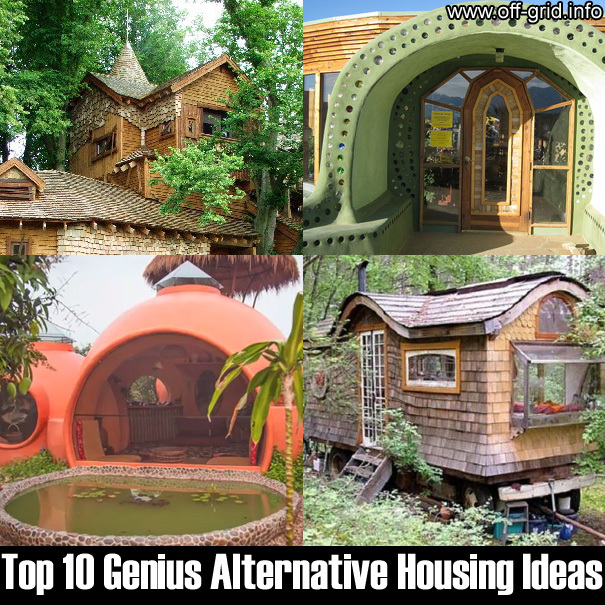 There has been a huge resurgence of interest in alternative housing in recent times. The biggest reason? Financial. The housing, mortgage and employment crises of the latter part of the first decade of the 21st century, have caused many people to doubt the "normal approach" to housing. A house is a very expensive item - and a typical mortgage takes 30 years to repay: For many people, this translates simply into 30 years stuck in a job you don't really like, mostly for the "privilege" of owning a home to call your own. During this time, you will pay a colossal amount to the bank in interest for the privilege; and a further colossal amount in tax! According to www.mortgagecalculator.org, a 30 year loan of $250,000 with 4% interest rate and 1.25% property tax, will result in a total interest payment of $176,965 and a total tax payment of $112,500 in addition to the repayment of the original sum. In other words, you end up paying back more than double what you originally borrowed; and deep down you know that the house really belongs not to you, but the bank. You have to keep making the payments - or face losing your home. Income disparity between different sectors, especially in major cities, has also driven house prices sky high - meaning that many people simply cannot afford to get on "the housing ladder". This is not the only challenge - especially in these "days of uncertainty". Technology is now changing so quickly that many of the jobs that will exist in twenty years' time simply haven't been invented yet. The corollary of this is of course that many of the jobs of today will be obsolete by then. Job security? It seems that the ability to think on your feet and to "adapt and survive" is of greater value these days. So - hopefully you will be able to remain employed the whole time of your mortgage repayment and not be left with a mortgage that you cannot afford to pay. Hopefully also, your house will go up in value and you will end up with a nice asset to cover your care expenses during the latter part of your life and leave you with something to pass on to your family (again, this will be heavily taxed). But you can see by now that this all somewhat risky - especially seeing the experiences of recent years. I recently saw a house that was bought a few years ago for $150,000, for sale for $49,000. I feel sorry for the owner, that's all I can say. Property was not such a good investment for them. And "playing it safe" has probably never been so risky. The long and short of it is that in order to have a nice "normal" home, you will almost certainly have to pay a very heavy price in sweat, tax, interest and risk. And let's be honest - you are working for most of the prime of your life in order to make someone else rich. There has to be a better way. There are also, of course, the environmental considerations. A house has a large "environmental footprint" in terms of the materials used. Many are turning to green construction - which in general implies simplicity as well as the use of less toxic and renewable resources. The first question to ask is "What do you really need?" Many people attach great status to an expensive home. It is a symbol of success, of power over your destiny, security. While these might be good things, there is also a dark side to it: Was it driven by insecurity? Many people feel chronic status anxiety and a need to "keep up with the Jones's." Are we really so concerned of what others will think of us that we need to enslave ourselves because of it? So the first suggestion is to downsize. It is suggested to learn to be content with something less expensive - and get a home that does not keep you so busy paying for it that you have no time left to live in it! Bear in mind also that if you don't buy a house, you lose out on the possibility that it will grow in value. Real estate is still considered by many to be a valuable asset, when done right. If you are prepared to live more simply, and throw off the idea that you "need" to have a normal house in a normal street, then all kinds of possibilities open themselves up to you. Some of these may literally save you hundreds of thousands of dollars - which translates into years of your life handed back to you. Most of these ideas tend to work better if you are physically strong (or can hire people who are) and have skills in the various aspects of construction and making things yourself. Living a lifestyle of this kind, very often requires greater self-reliance and an ability to make and fix your own systems. Bear in mind also that depending where you are, there will be codes that need to be adhered to, zoning requirements, legal restrictions and so on. Do NOT assume that because I have suggested an idea here, that it is safe or even legal in your area to do it. As restrictions vary so greatly from region to region, this would be an exhaustive topic and not one that I want to delve into right now. Suffice it to say that you should know the law, and get it right. For a couple of examples - 1) a friend on the island of Bali just said to me "The building codes here are nonexistent. I could open a juice bar on my street tomorrow and no one would stop me." (note - this may or may not be actually true, and there may be insurmountable obstacles to non-Balinese owning freehold on property in Bali) 2) A few years ago, a friend of mine lived in an RV, free as a bird, in a national forest. Apparently, if they were found by rangers, they were given a ticket telling them they had to move on within 30 days - and they would simply relocate to another area. This kind of carefree lifestyle may be ok when you are young, when older the idea of living without a 'safety net' loses much of its appeal. Ultimately, alternative housing, if it can be done, provides you with an opportunity to put more of your money in your pocket as opposed to into the hand of bankers and real estate tax collectors. There are many people who live full time in an RV. One of the great benefits is of course the potential for low cost. You may be able to obtain for exmaple a used travel trailer for a few thousand, perhaps a small plot of land to put it on (if this is legal where you are), a small investment in off grid power and boom - you saved yourself from having to buy a house. If you can do this and hold down a means of decent income, you may be in a position to save some serious money. Another of the great benefits of RV living is that if the need arises, you can "up sticks" and leave, towing your home away to a new location. There is also the potential for continued travel - especially if you have a means of generating revenue which doesn't require a fixed location. On a practical tip - the Wikipedia page on this is a good one, listing pros and cons:http://en.wikipedia.org/wiki/Shipping_container_architecture. You'll be astonished at the sophistication and integrity of some modern treehouse designs. Check out an amazing collection (with photos) here: 17 Of The World's Most Breathtaking Treehouses. 10 Sensational Homes Built From Straw! Geodesic domes are fantastic structures and have been designed with various levels of permanence in mind from weekend event spaces through to housing. The dome is not only a strong structure but also looks very cool and futuristic. Check out our page of Geodesic Dome Suppliers. Bamboo is being heralded as a wonderful "green construction" material. 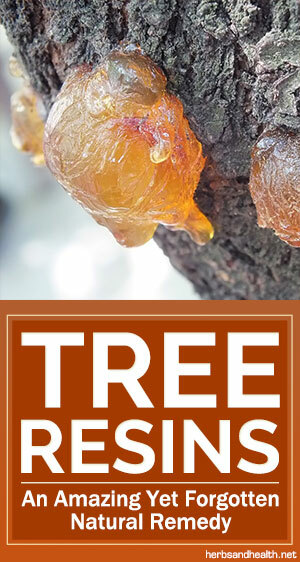 It is a sustainable resource, grows incredibly fast (up to 1 meter per day!!) and provides an extremely strong material which can be used for all kinds of purposes from green home construction through to kitchen utensils. One of the centers of progress for the use of bamboo is in Bali, Indonesia - where the famous Green School utilized bamboo construction techniques extensively. The school was given an award for being the "Greenest School on Earth“ in 2012. See also: VIDEO: Amazing Bamboo House… Built In 3 Days! Natural Homes naturalhomes.org/cobhouses.htm Worldwide A website that has some images of the cob house that I'm sure you will enjoy. Cobworks www.cobworks.com/ They build beautiful, afforadble structures with natural and local material. They also offer workshops for those who likes to learn on making a cob house that you will surely enjoy. You can contact them in their website online form. Arm of the Spiral www.armofthespiral.com/ They created this website to promote the sustainable and natural building method and also encourage anyone who like to build their own. StrawBale.com www.strawbale.com/ Oregon, USA If you like to build your own straw bale house and you dont know how, this site can help you alot. They offer Free & day workshop for those people who are interested to learn, they also have the step by step instructional videos and many more. You can contact them thru their online form. Earth Garden www.earthgarden.com.au/ Australia In October 2000, they published the first Australian book about strawbale building, and 'Strawbale Homebuilding' is now on sale in bookshops throughout Australia, in the USA, the UK and New Zealand. Tumbleweed www.tumbleweedhouses.com/ They offer portable houses that are towed that you can buy ready or built it yourself. You can contact them thru their online form. Tiny house blog tinyhouseblog.com/ This is a nice blog I saw, it has alot of tiny house images that are really nice and can give you a wonderful idea. Residential Shipping Container Primer www.residentialshippingcontainerprimer.com They set an outline and details for the steps and stages needed to turn a shipping container into buildings. Tiny Pallet House www.tinypallethouse.com This micro-blog can show you how to build a house using pallets. You can contact them thru the online form in their website. Collingwood Earthship collingwoodearthship.wordpress.com Ontario, Canada The goal of this site is to bring together all the earthship projects in Canada, so it can be shared to people who likes to learn how to build for their own. Earthship Europe earthshipeurope.org/ Europe Earthship Europe is meant to be a central point for European non-profit earthship organisations, volunteers willing to work on European earthship projects and earthship communities alike. The Bottle House www.bottlehouses.com/ Prince Edward Island, Canada Over 25,000 recycled bottles was cemented together to create this house. It is a must see tourist attraction. Hemp.Org www.hemp.org Houses that are built from hemp can use less energy, less waste and take less fuel to heat than the usual constructed houses. Natural Homes naturalhomes.org/ The Natural Homes writes all about the world of natural building, living and the effect on the environment. Video: Amazing Bamboo House Built In 3 Days!